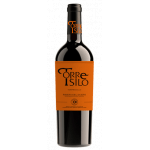 In Quintana de Pidio and Gumiel de Mercado rise the Cillar de Sillos vineyards, 48 hectares of the country's red variety (Tempranillo), situated on slopes and surrounded by woodland. Due to the use of the best planting density (2,800 stocks per hectare) and the cultivation techniques of green pruning and cluster thinning, it means that production does not exceed 3,500 kg per hectare, in this way we achieve the optimum conditions for production and subsequent ageing of our wines. The grape harvest on the lands of Ribera del Duero is, with its century-old tradition, more than just a ritual, it is a festival. 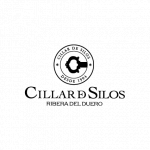 In the Cillar de Sillos vineyards, years of experience combine with the most modern technical resources in order to determine the optimum harvesting date. 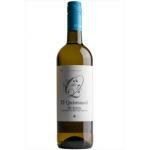 Due to its mild climate and the maturity of the grapes, October is the most favourable month for these tasks. 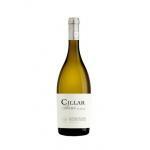 Our wines come from grapes with the right maturity index, a good acid ratio and optimum colour intensity. 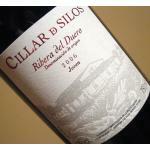 The fruit of Ribera del Duero, is harvested by hand, as it has been for centuries, and transported to our wine cellars in boxes, to prevent the berries from being crushed or split. The wine cellar. 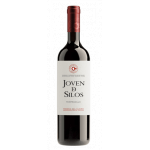 In Cillar de Silos we use wine-making systems based on the experience that we have gained from the traditions of this land, from our own work, and from technology. We are always looking to produce the best quality wines, the clusters of grapes pass through a variety of different processes, the selection table, vatting, cold maceration and, depending on the vintage, it is fermented in stainless steel or oak casks with intensive overpumping. Once the alcohol fermentation process is complete, we move on to drawing the sediment, separating the liquid from the paste formed by the skins, and thus completing the malolactic barrel fermentation process. During the barrel ageing process, our aim is that the wood itself provides our wines with the necessary complement, so that with the passage of time they acquire the complexity and the strength that instills them with their own personality. We avoid using excess wood, so that the wine will retain its fruity character. 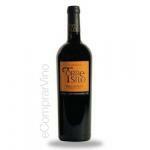 The quality of the wine depends substantially on it being able to develop well in the bottle. 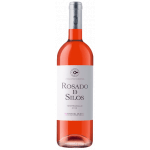 In Cillar de Silos we use natural flower cork and the bottles lie in our ancient underground wine cellars, where the natural humidity and temperature levels (between 11.5ºC and 12ºC) remain constant throughout the year. 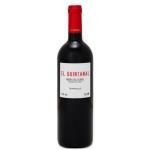 These ideal conditions ensure that with the passage of time the wines reach the desired quality.